Most of the public will never have heard of Serco, a FTSE 100 company that does all of the above and more. Led by South African Chris Hyman, Serco is also making money doing it and today underlined it is proving one of the recession winners. Profits in the first six months of the year – one of the toughest the UK economy has faced for decades – jumped 33pc to £83.4m. However, Serco’s journey into the DNA of Britain’s public infrastructure, like those of rival support services companies Capita and Interserve, began before the recession arrived. All have benefited from the growing culture of outsourcing services under Labour, and Serco expects this trend to continue as the gaping hole in the public finances forces the Government to cut back. Serco has secured a record number of contracts in 2009 so far, worth £4bn, as its revenues climbed 30pc to £1.95bn. The deals includes a contract to design, build and operate Boris Johnson’s cycle hire scheme for London and to operate two new prisons at Belmarsh in London and Maghull in Liverpool. 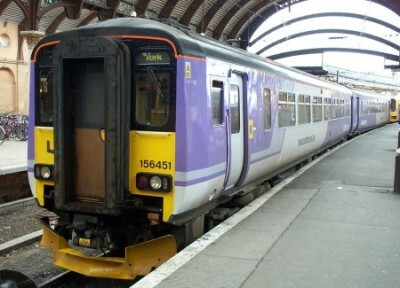 These come on top of Serco’s existing services, which include operating London’s Docklands Light Railway, running the Northern Rail and Merseyrail train networks, providing the Ministry of Defence with air surveillance and control systems, and delivering infrastructure and intelligence to the UK Border Agency. To complete the list, Serco also has a six-year contract with Ofsted to run inspections in the Midlands at schools and further education colleges. In defence, the company is battling to win the rights to run the Army’s recruitment programme and already helps to train armed forces about using Britain’s fleet of aircraft, such as the Chinook and Apache helicopters. In partnership with Lockheed Martin and Jacobs Engineering, Serco also manages the Atomic Weapons Establishment, which provides and maintains Britain’s atomic warheads. Revenues from civil government work increased 49pc in the period and a bullish Serco expects this trend to continue, giving it even more control of Britain’s infrastructure. The company estimates that local authorities have endured a £4bn deficit in income for over the last two years as a result of the recession and that, by 2012 it will have revenues of £5bn. In the results, Mr Hyman says: “The financial crisis and subsequent economic slowdown means that governments around the world are contending with increasing demand for high quality services whilst also facing a sharp deterioration in public finances. They continue to experience growing demand for quality services from their citizens. “We believe this is also leading to a greater acceptance of innovative ways of achieving these changes, a broader range of markets to be addressed, and an increase in the size and term of change programmes in order to achieve the scale of efficiencies required. Not surprisingly, the shares rose 4pc following the results.